Photographer William Wylie, the Happy and Bob Doran Artist in Residence in Praiano, Italy, in 2012 and Professor of Art at the University of Virginia, discusses his photographs from Pompeii and the five years he spent documenting the ongoing project of excavation and conservation at the ancient site. 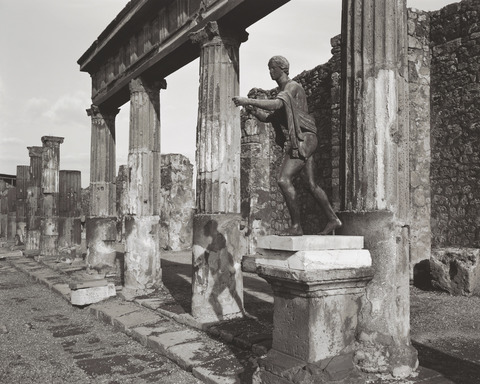 Following in the footsteps of 19th-century photographer Giorgio Sommer, Wylie accessed areas closed off to the public, where he sought a “silence in the shadows.” Presented in conjunction with the exhibition Pompeii: Photographs and Fragments and followed by a book signing of the related publication by William Wylie, Pompeii Archive. Space is limited. Please meet in the Gallery lobby. Receive a 20% discount off the purchase of Pompeii Archive during the program.